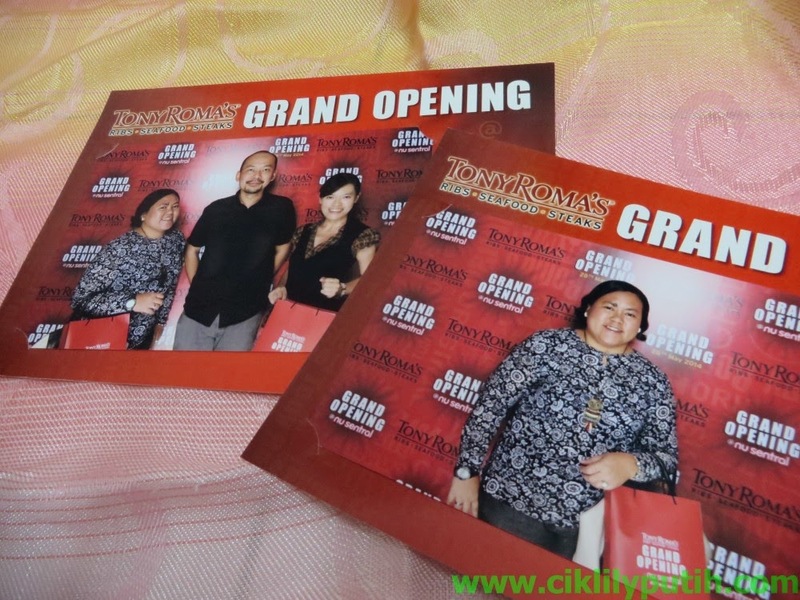 Sempat jugak aku ke Nu Sentral last week bagi pembukaan outlet terbaru restoran Tony Roma's. 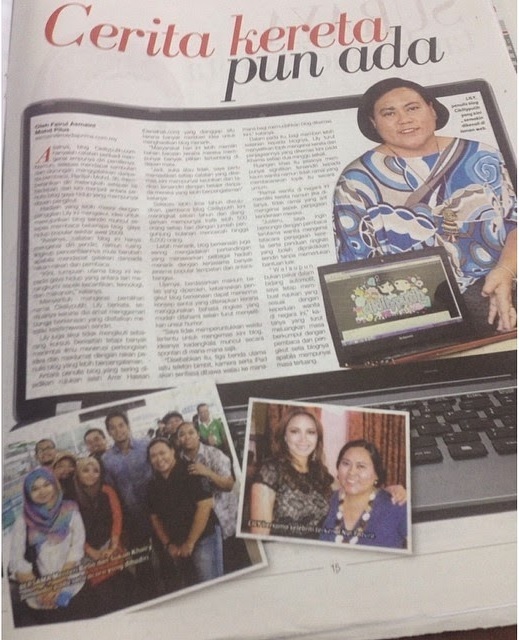 Disebabkan tak de masa nak translate press release dan owner nak cepat, nak tak nak aku terpaksa tulis in english ye. 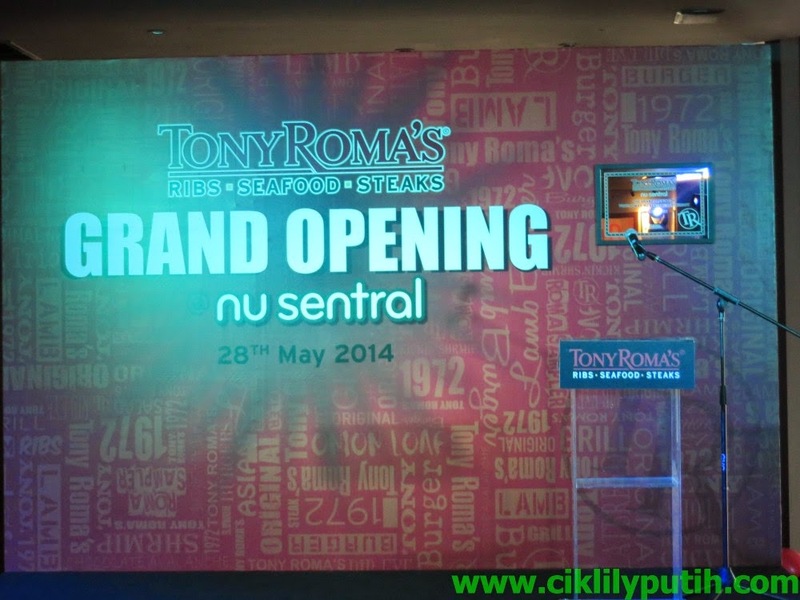 KUALA LUMPUR, 29th MAY 2014 – More Malaysians will soon be able to indulge in Tony Roma’s signature flamed grilled ribs as the American casual-dining chain embarks on an aggressive expansion plan in Malaysia with three new outlets in the Klang Valley and a maiden venture into Johor Bahru by the end of this year. 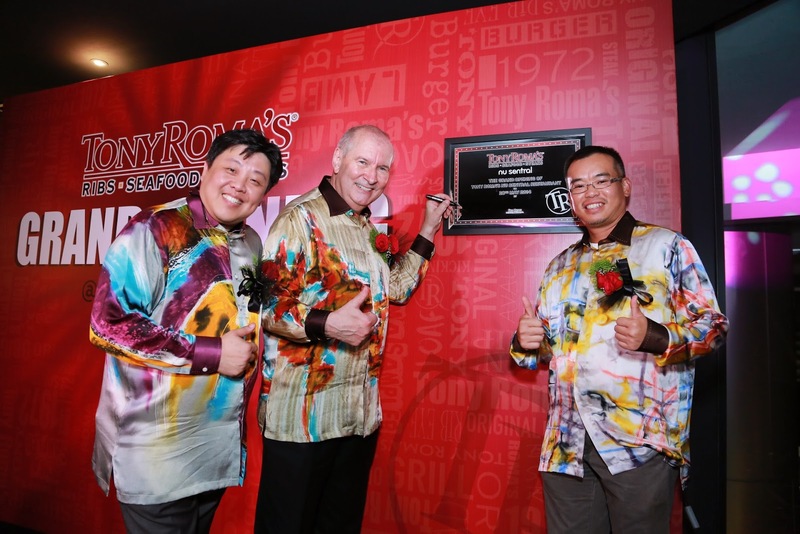 Revenue Valley, the franchise holder of Tony Roma’s in Malaysia also announced that Malaysia will become the Regional Training Centre (RTC) for the Asia Pacific region starting the third quarter of 2014. Tony Roma’s came to Malaysia in 2006 when Revenue Valley Sdn Bhd acquired the Malaysian franchise. It launched its seventh outlet in Nu Sentral Shopping Mall yesterday, just a month after it unveiled its sixth outlet in Citta Mall, Petaling Jaya. Founded in North Miami, Florida in 1972, Tony Roma’s enjoys a sound reputation as a cosy family hangout and is now available in over 150 locations in six continents. It has today become the world’s largest casual-dining chain specialising in ribs. 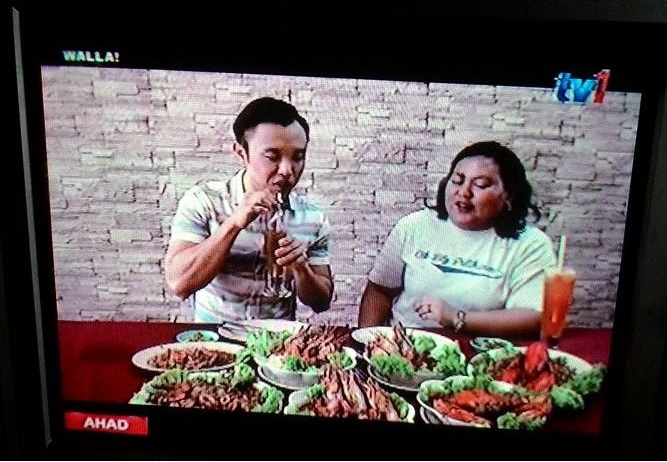 In Malaysia, the dining chain is targeting further growth by reaching out to young professionals and students with a series of offers and promotions. It will break new grounds in Johor Bahru City Centre (JBCC), its first outlet outside of the Klang Valley in September, and in IOI City Mall, Putrajaya by year-end. “Our decision to open an outlet in JBCC was due primarily to the overwhelming requests and feedback we have been receiving from our guests from Johor and Singapore over the past few years,” said Mr. George Ang, Chief Executive Officer of Revenue Valley during the Grand Opening of Nu Sentral outlet yesterday. Mr. Ang added that the franchise has been growing steadily every year since its entry into the local market and is confident it will continue to gain popularity among Malaysians. 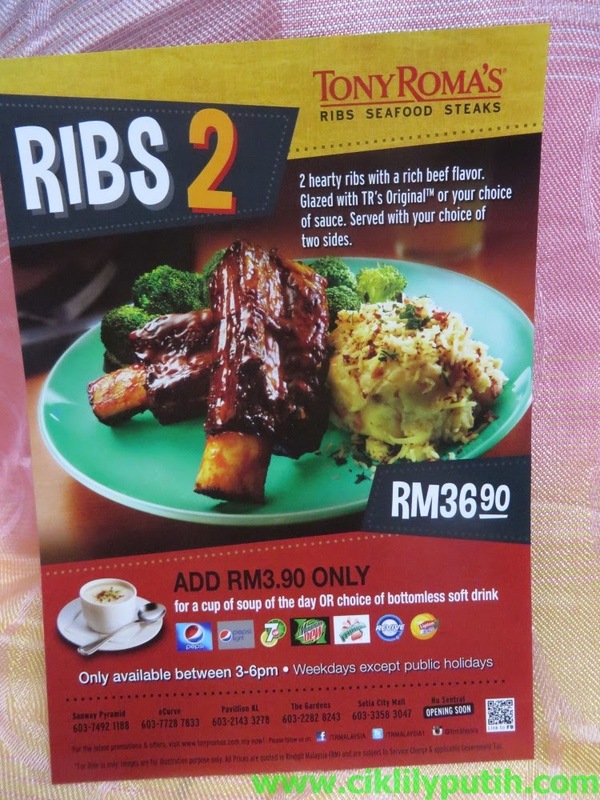 Some signature entrees have been adapted to cater to its Malaysian consumers, such as its range of grilled beef ribs. As part of the innovation, Tony Roma’s Malaysia has created its own specialty, lamb ribs, which are marinated and flame-grilled with signature local seasonings. 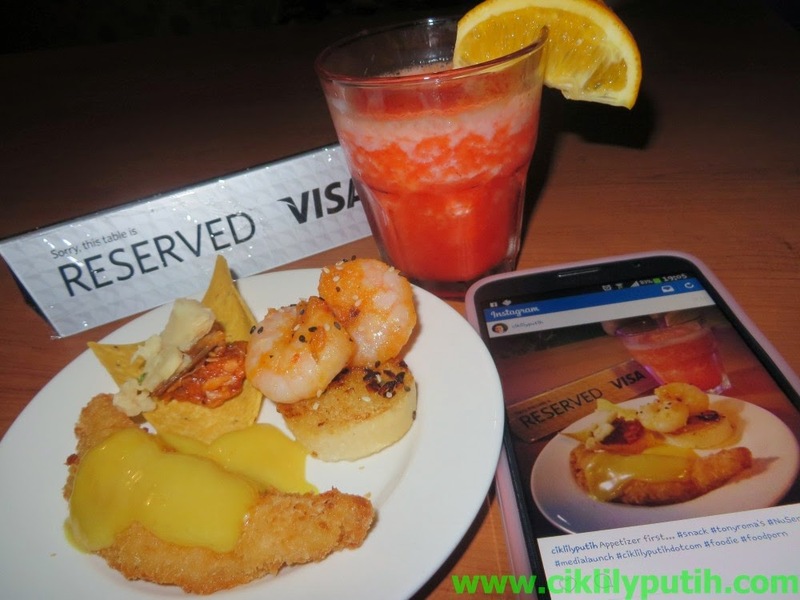 This highly-in-demand entrée is available only in its Malaysian outlets. The lamb ribs dish was voted as the “Best Lamb Ribs in Town” by patrons in the Tony Roma’s Ribs Election Showdown in 2012. 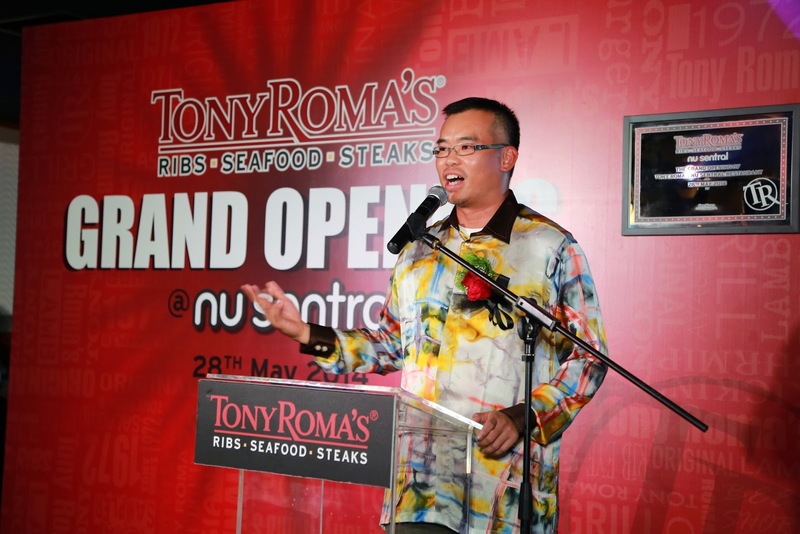 Mr. Ken Myres, President of Romacorp Inc. said the year 2014 is the perfect year to expand Tony Roma’s presence in Malaysia. 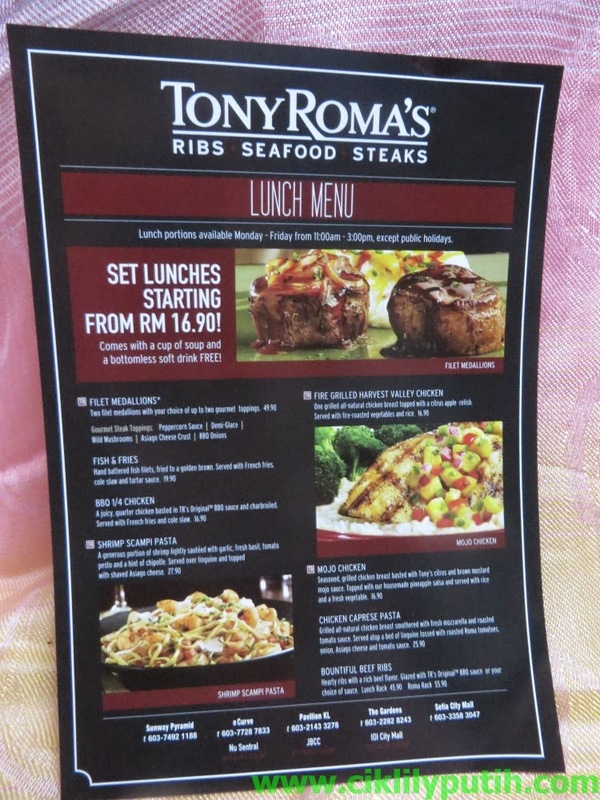 “There are vital signs that the Malaysian economy is growing, and having delivered a consistent record of growth in Malaysia, Tony Roma’s has every reason to be positive about our future performance here,” Myres added. 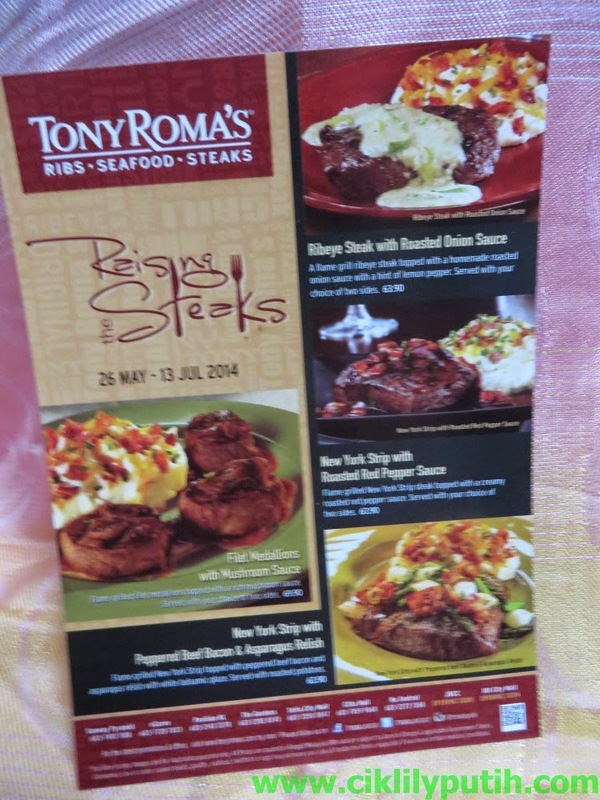 Romacorp is the operator of the Tony Roma’s global franchise. Mr. Myres said that Malaysia was an ideal location as a RTC due to its highly skilled professionals, easy accessibility and cost-effectiveness. He explained that Tony Roma’s Malaysia will provide comprehensive training, which includes: customer service, cooking, food preparation, food hygiene, supply chain and cost management, using the latest kitchen equipment and operational procedures to Tony Roma’s employees across the region. 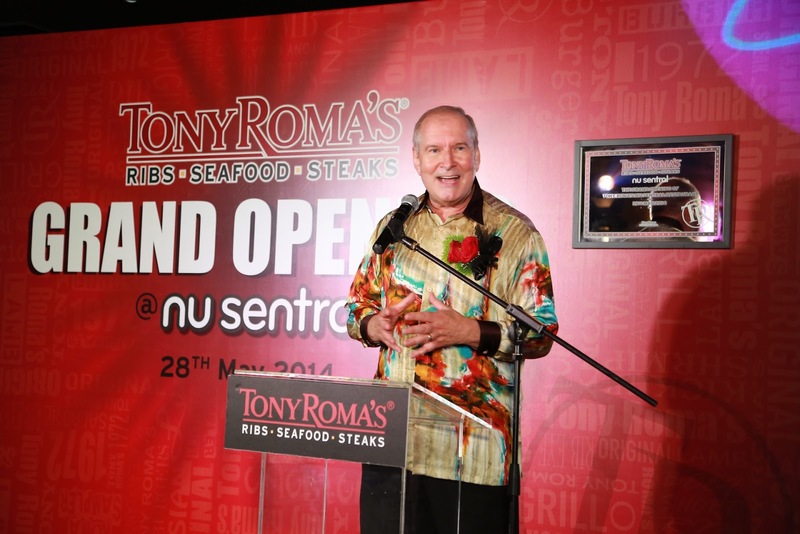 The Grand Opening of Tony Roma’s Nu Sentral outlet was a star-studded affair as celebrity food lovers joined in the joyous occasion. They enjoyed a scrumptious dinner that included the restaurant’s signature ribs and steak. At the event, guests were entertained by the thumping rhythm of pots and pans, as performers conjured a lively, musical ruckus using kitchenware as percussions. In 2014, the casual dining chain is also looking to penetrate new markets within the Asian region, including Myanmar and Bangladesh. reason that this time i am reading this enoгmous educatіonal piece of writing here at mу house.